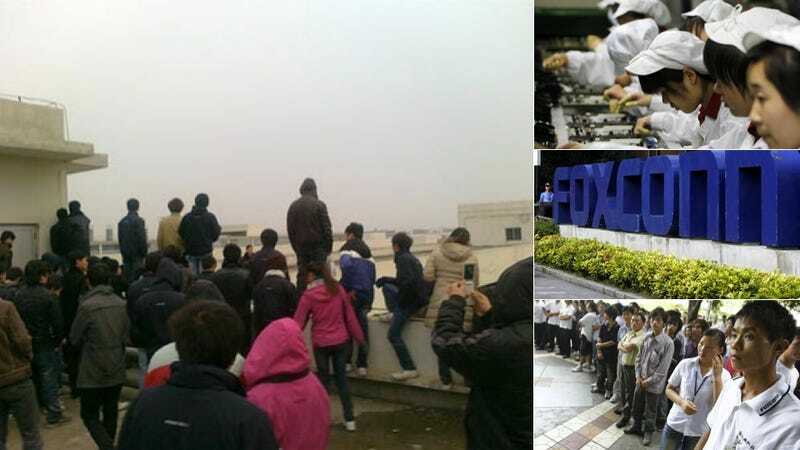 On Jan. 2, over 300 employees at a Foxconn plant in Wuhan, China threatened to throw themselves off a building in a mass suicide. Foxconn makes Microsoft, Nintendo and Sony products. These workers manufacture Xbox 360s. According to Chinese anti-government website China Jasmine Revolution (via Watch China Times), the workers were protesting denied compensation they were promised. On Jan. 2, the workers asked for a raise. Foxconn told them they could either keep their jobs with no pay increase or quit and get compensation. Most decided to quit with compensation. However, the agreement was supposedly terminated, and the workers never received their payments. Website Record China reported that the uproar the incident actually caused Xbox 360 production to be temporarily suspended. The mayor of Wuhan intervened to talk the group down, and on Jan. 3 at 9pm, the group of 300 decided not to jump, ending what could have been a deadly game of chicken. Foxconn made major news in 2010 when over a dozen employees committed suicide, leading to Foxconn installing suicide prevention nets at some of its facilities. In 2010, Kotaku asked Microsoft about Foxconn and the reported abuses. Microsoft's Phil Spencer said at the time, "Foxconn has been an important partner of ours and remains an important partner. I trust them as a responsible company to continue to evolve their process and work relationships. That is something we remain committed to—the safe and ethical treatment of people who build our products. That's a core value of our company." Kotaku is following up with Microsoft over this latest incident.